Before I jump straight into things, allow me to give a bit of an introduction to the cigar I am reviewing. The Hoyo de Monterrey Des Dieux is one of the oldest vitolas of the brand. These cigars used to come unbanded until 2005 and only come in boxes of 25 since 2006. I did not rate HdM as a Marca at all, I found most cigars bearing the name one dimensional and boring before smoking my 1st Des Dieux. 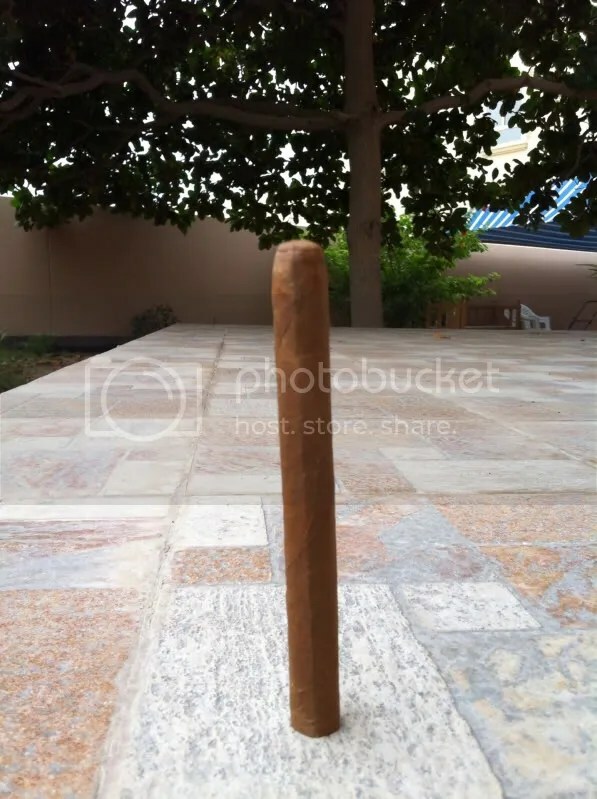 This stick was an excellent example of a cigar, light brown wrapper with a bit of oil. The construction was excellent, it was firm with a slight give to pressure. The aroma at cold in itself set the expectations to high. The aromas in concern were those of cinnamon and nutmeg. Like the aroma at cold, the 1st third started of with a wonderful bouquet of flavors. Cinnamon, vanilla with underlying tones of cedar were the predominant flavors while a nutty profile (what I could describe as cashew nuts) was evident on the retro hail. Right at the end of the third the Nuttiness and spiciness combined nicely giving flavors resembling those of unsweetened cooking cocoa. The unsweetened cocoa continueed to the 2nd third. Halfway through the 2nd third, the cocoa was gone and was replaced with flavors similar to those initially sampled in the first third. however, some tea leaf flavors took center stage and were accompanied with some underlying sweetness that I could not put my finger on. The cigar picked up a notch in strength, and white pepper was what I got on the retro hail. In the final third, things got really interesting, the cigar was medium bodied which was reflected on the flavors being dark and sweet. I could only relate those flavors to dried fruit (dried figs to be precise) accompanied by what I’d describe as canned cherries on the retro hail. 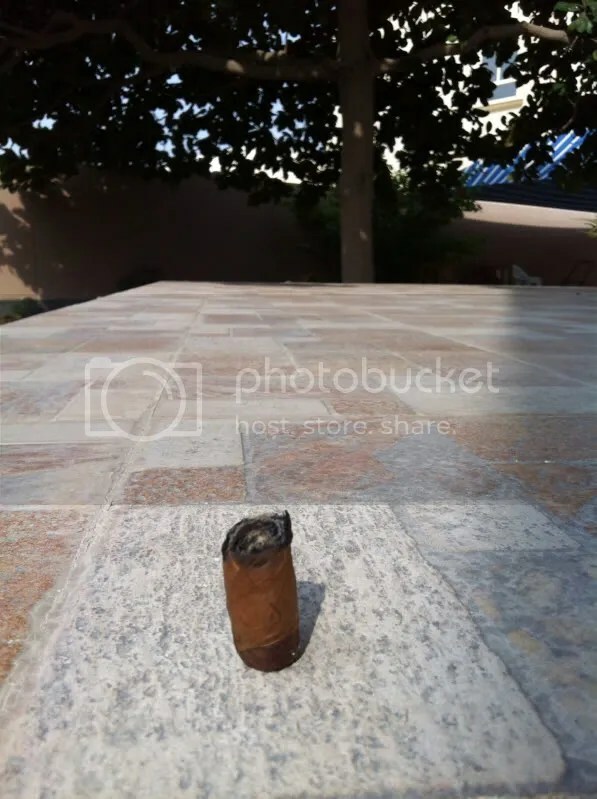 The cigar never got harsh and I enjoyed it all the way to the nub..
– This cigar has a ton of flavor and excelled in sticking to the medium side without turning harsh. 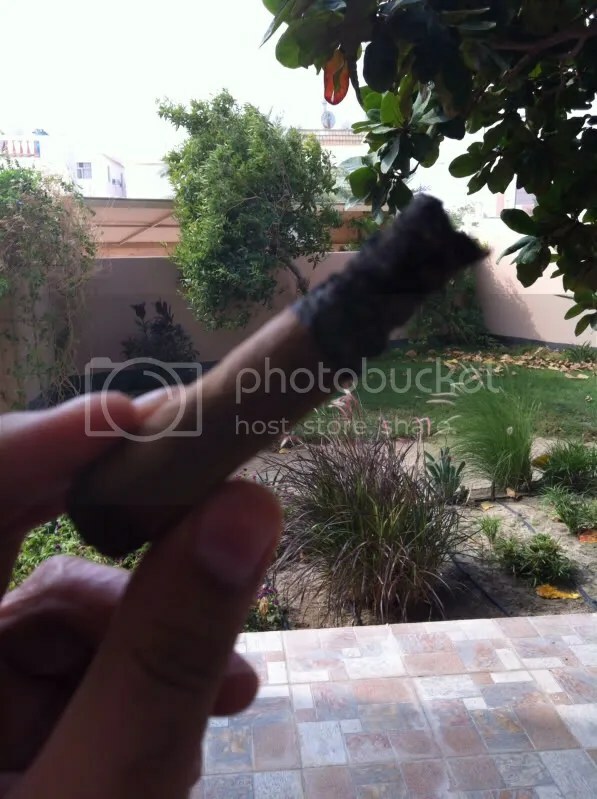 – This is a well balanced smoke. Every single flavor had its on spot, each flavor flowed with the other in great harmony. 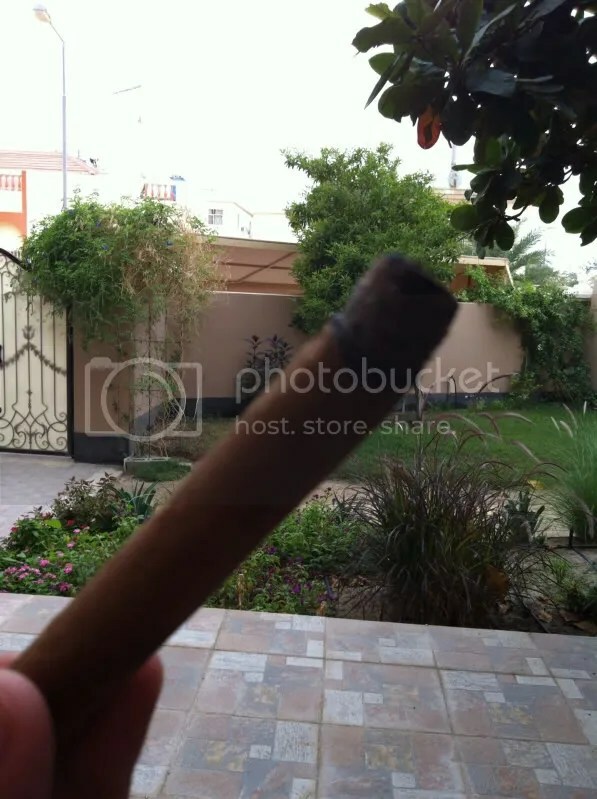 – This cigar is truly worthy of its name. Des Dieux, meaning Gods in French is truly one of the gods of cigars. Hope you enjoyed reading, if you did please rate, like and comment. I really like Hoyos, they really don’t need an occasion to light one. But I still prefer the 50 ring.